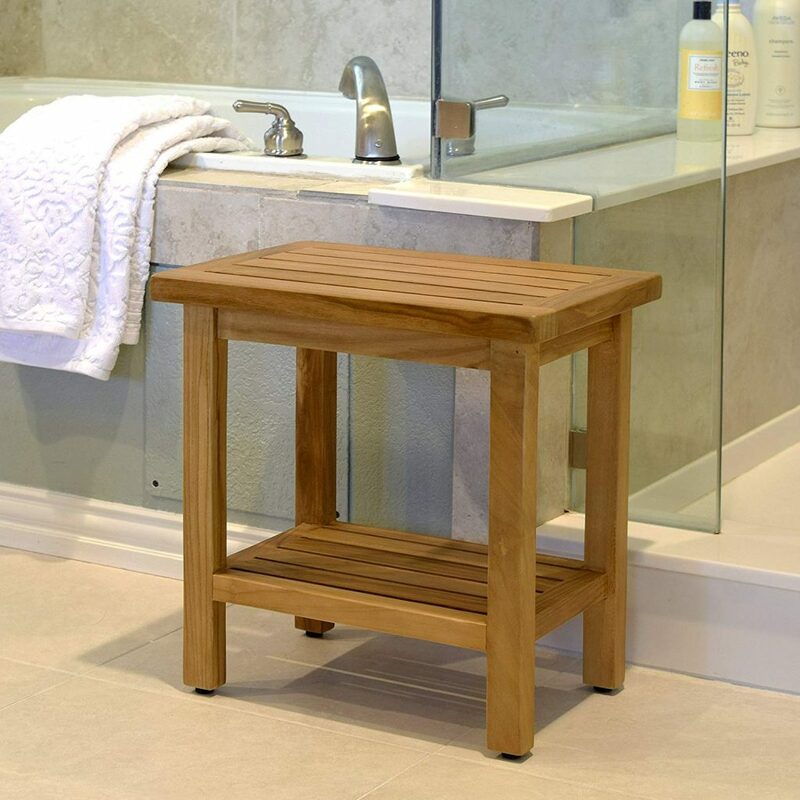 A clean contemporary design makes it ideal for a spacious shower or bath. 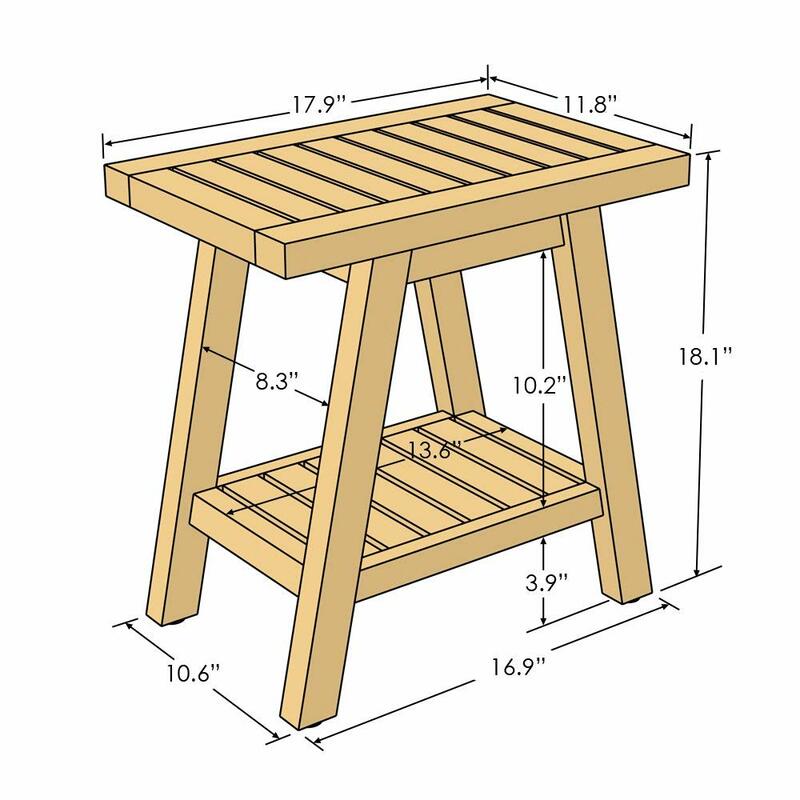 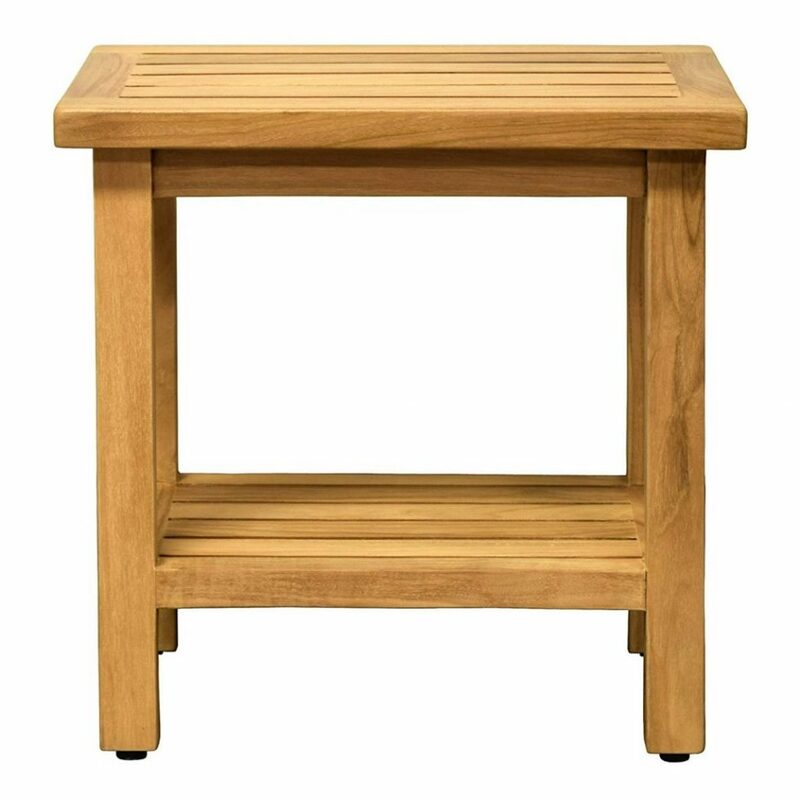 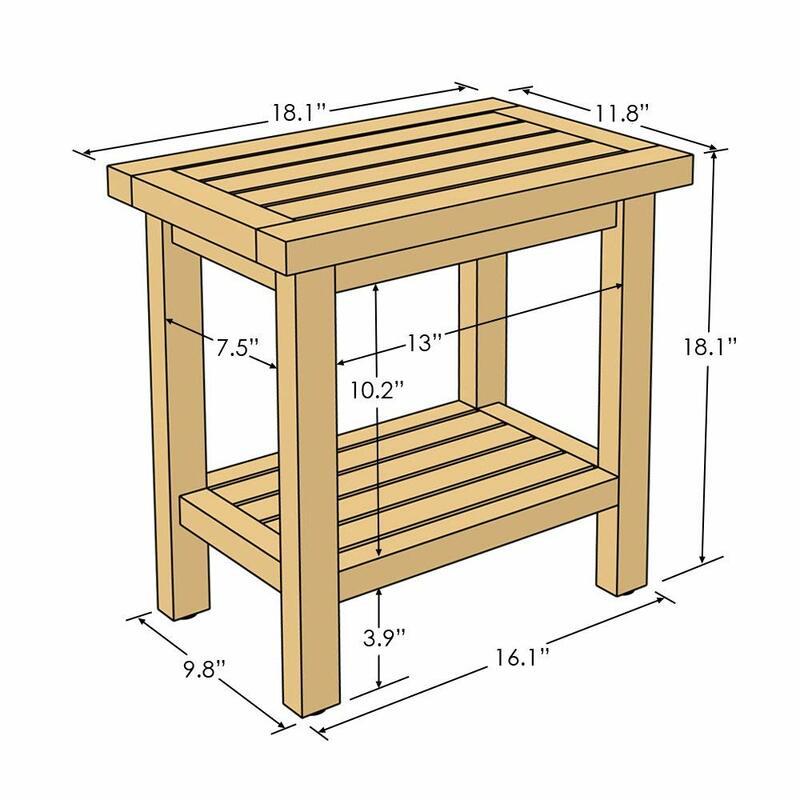 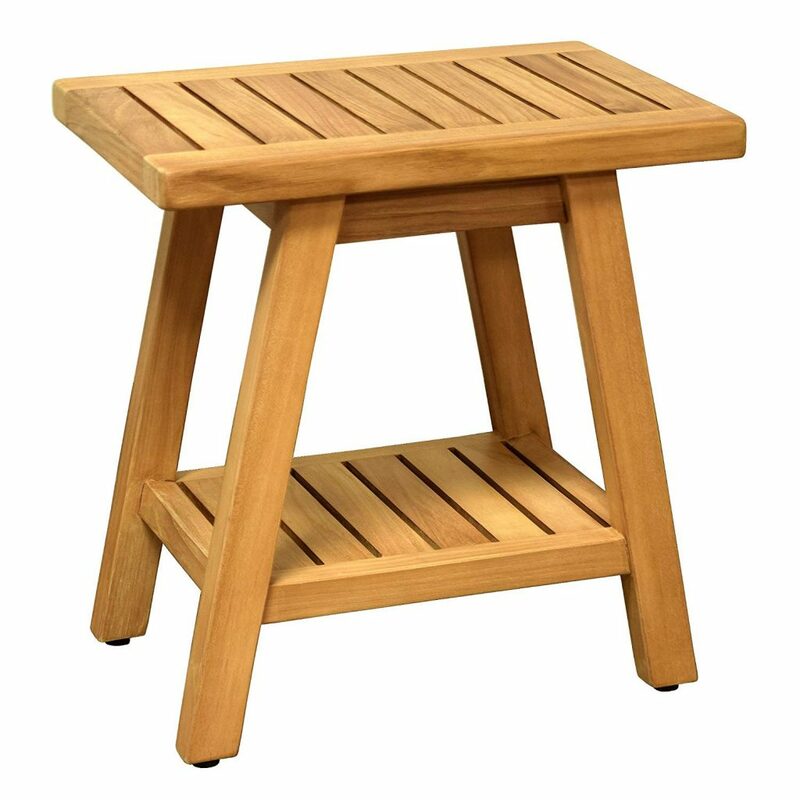 This solid teak wood shower stool has a likely different look than the one shown above, it is also naturally resistant to moisture and humidity, which makes a perfectly natural enduring bathroom accessory. 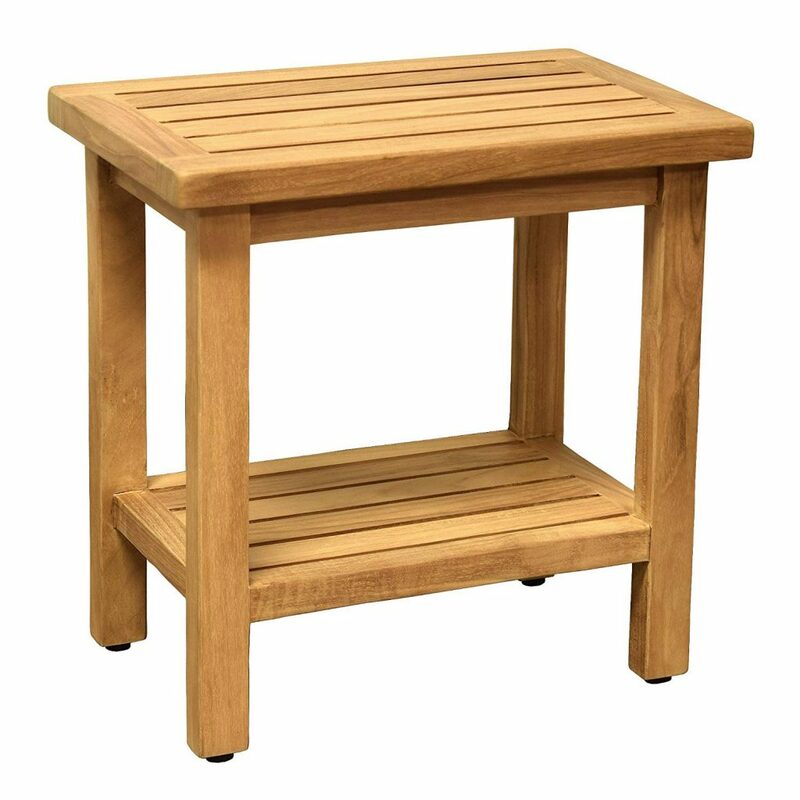 All the Spa Teak collection items are 100% clear look without any dark color stain finish.. 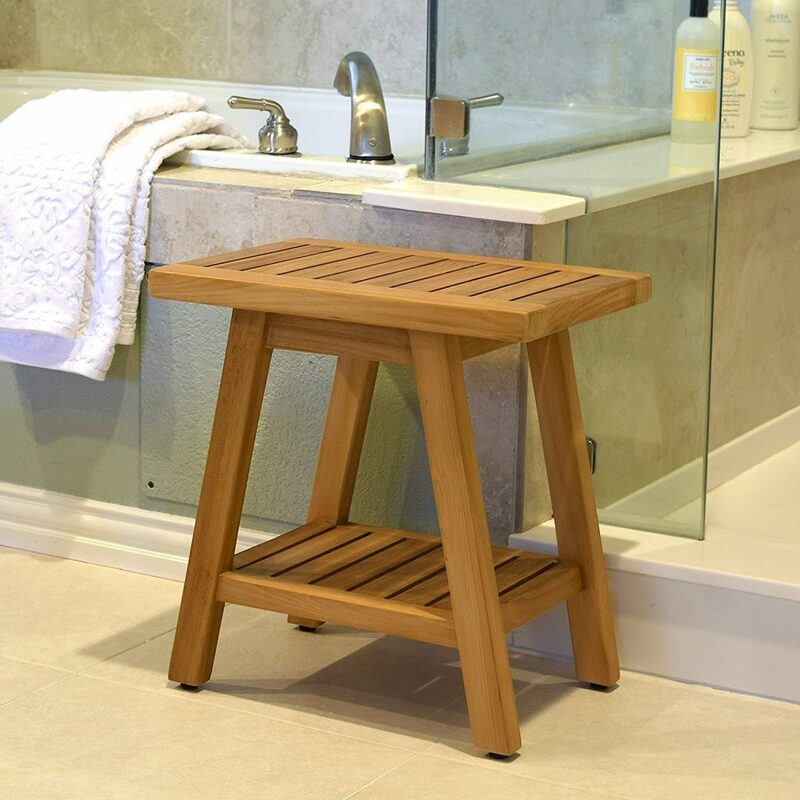 This simple, sturdy and elegant design enhances the look in your bathroom!